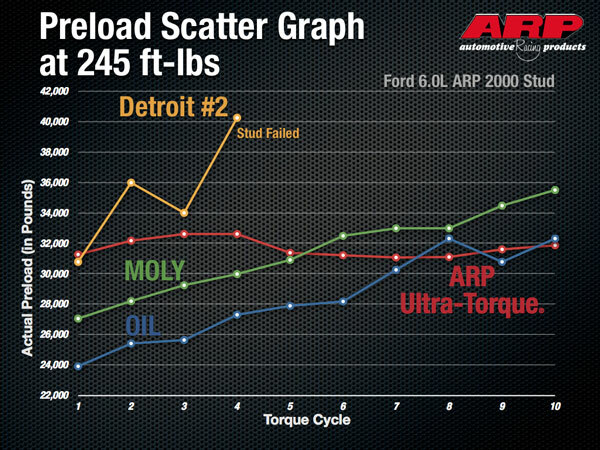 Today's critical - head studs and bolts, main studs and bolts, and driveline - have been designed stronger than ever before to handle the extreme loads. 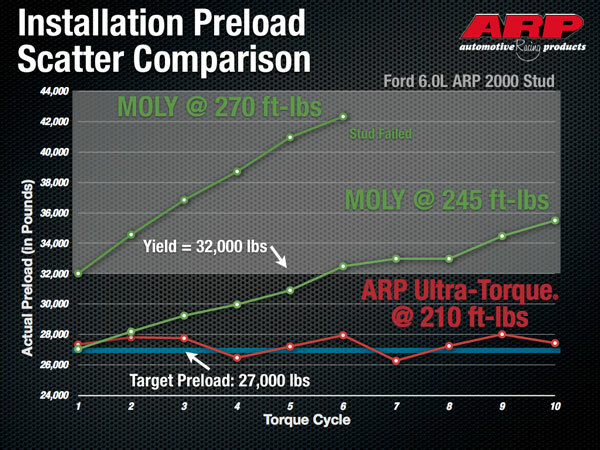 As a results, installation pre-loads - the amount the fastener is stretched during installation - are very high. 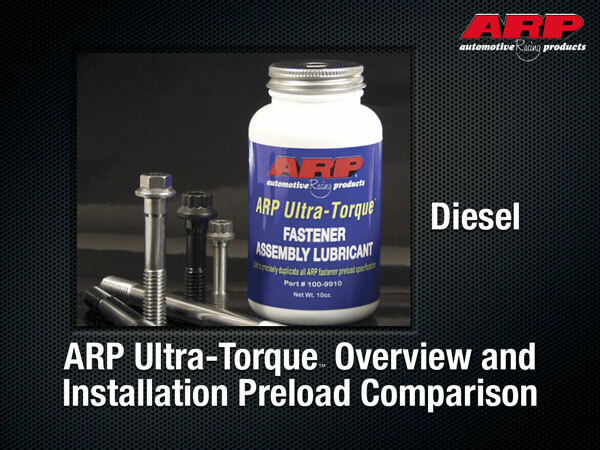 There are a lot of opinions out there about which fastener assembly lube to use and what the torque value should be. 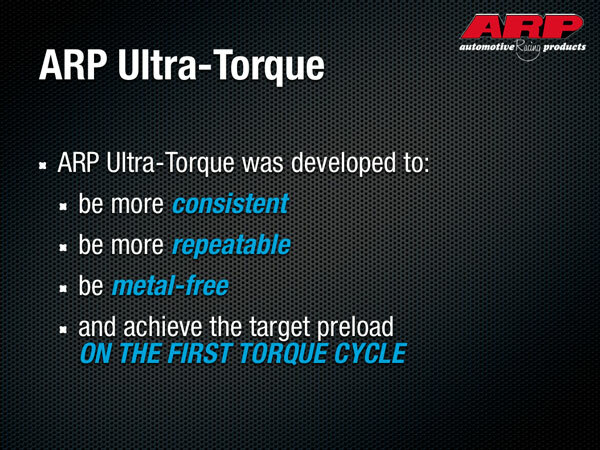 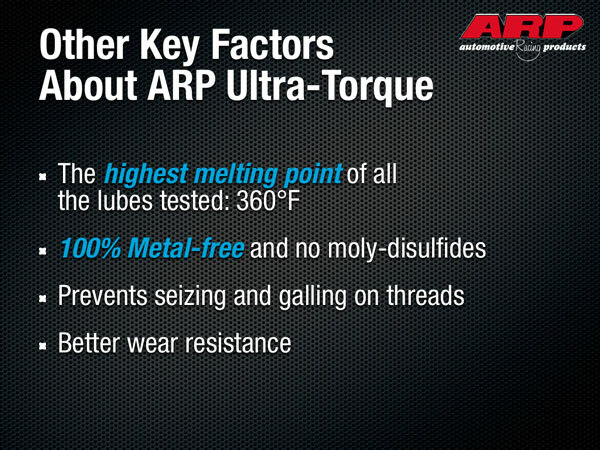 First, let's be clear: ARP provides torque specs for our fasteners based on using ARP Ultra-Torque. 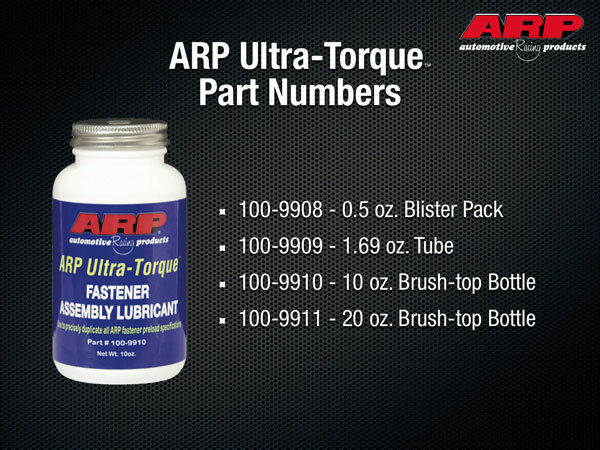 If you're not using our specs and our lube, you have no real idea what pre-load you're getting. 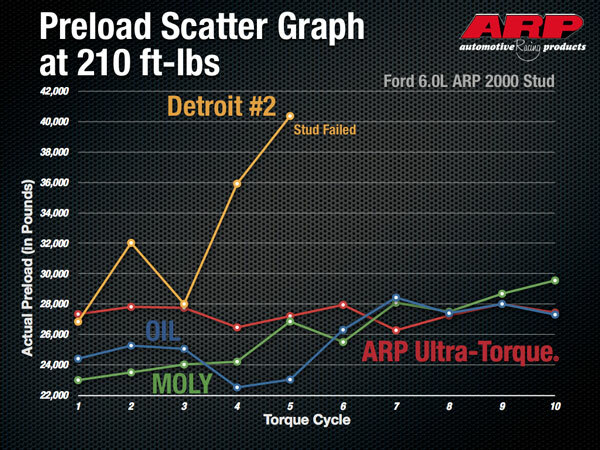 We've done the testing where we can measure the torque applied and the resulting pre-loads. 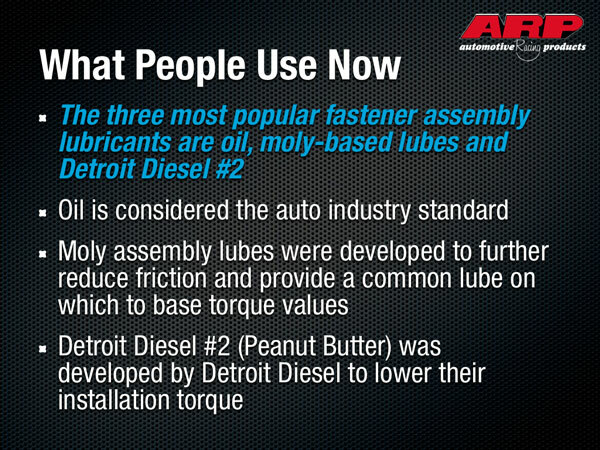 We've tested with our lube and the others people use...and we've got the results to back it up.